Perfume (from Latin “per fumus”, which means “through smoke”) is a substance created to provide a pleasant smell. 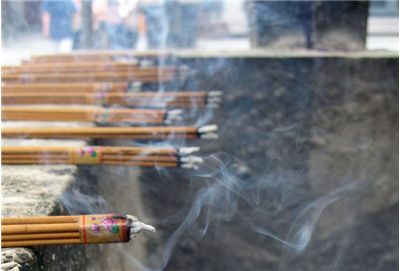 It today made as a mixture of fragrant essential oils, aroma compounds, fixatives and solvents but in the ancient times scents are produced by burning of incense and aromatic herbs – hence the name. Ancient Mesopotamia and Egypt were the places where the people first started making and using perfumes. Proof for this we found in ancient texts or archaeological findings. Cuneiform tablet from the 2nd millennium BC Mesopotamia mentions Tapputi-Belatekallim, a female overseer of a palace and the first chemist in the world who also made perfumes. She made perfumes from flowers, oil, and calamus which she mixed with other aromatic substances. Indus civilization developed perfumery (the art of making perfumes) between 3300 BC and 1300 BC. 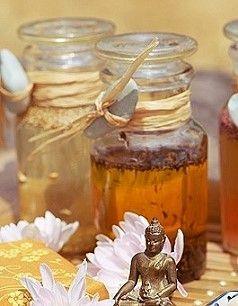 Hindu Ayurvedic texts “Charaka Samhita” and “Sushruta Samhita” mention “ittar” or “attar” - a natural perfume oil distilled from herbs. Mesopotamian and perfumes from ancient Egypt were later improved by Greeks, Romans and Persians. The oldest archeological evidence of perfumery was found in 2004 when archeologists found large perfume factory on the island of Cyprus. It had 4,000 square meters and held over 60 stills, mixing bowls, funnels, and perfume bottles. 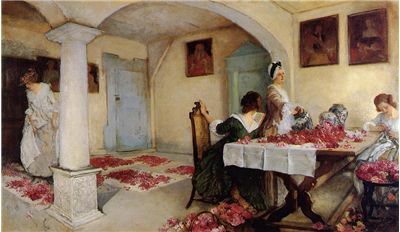 Perfumes made there were made of herbs, spices, almond, coriander, myrtle, conifer resin, and bergamot, as well as flowers. When the Rome fell, art of making perfumes moves to Orient. Book “Book of the Chemistry of Perfume and Distillations” which was written in the 9th century by Arab chemist Al-Kindi, had over hundred recipes for making perfumes as well as tools for making perfumes. One of those tools described in the book is “alembic” which is still in some forms used today. 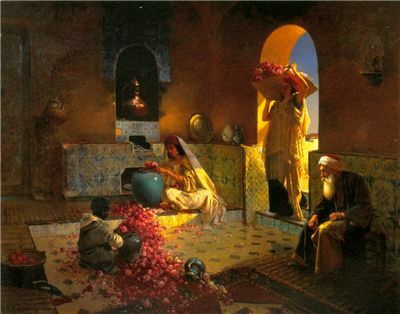 Perfumes from those times were mostly made by mixing oils and crushed herbs or petals which gave strong odor. The Persian chemist Ibn Sina popularized distilling oil extracts from the plants, a method that resulted in much more delicate odors. His earliest experiments were with the rose and his Rose water soon became popular. This technology and raw materials used for making of perfumes influenced later developments. During that time Europe practically lost knowledge of making perfumes until trade routes with East opened again and Crusades in the 14th century. 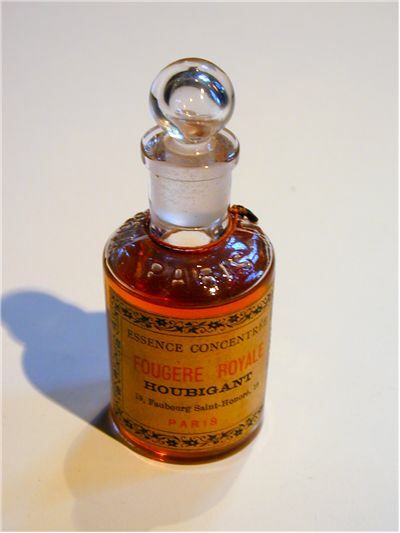 Using these knowledge Hungarians made the first modern perfume - “Hungary water” in the late 14th century. It was made of oils blended in an alcohol solution at the command of Queen Elizabeth of Hungary. Renaissance Italy further improved perfumery. In 16th century perfumery “moves” to France when Catherine de' Medici's personal perfumer Rene le Florentin moves there and continues his work which makes France the European center of perfume and cosmetic manufacture (which is still today). Sanitary practices of those times were almost nonexistent so perfumes were used by royalty and aristocracy to mask body odors. These people were wealthy so a perfumery had a patronage and developed quickly. One of the methods of using perfume were perfumed gloves and the first guild of glove and perfume-makers was established in 17th century. When Louis XV came to the throne in the 18th century his court people called “perfumed court” because perfume was, at that time, not applied only on body but also on clothing, fans and furniture. England also used perfumes since the 16th century. During the Queen Elizabeth's rule, public places were scented with perfumes because she didn't like bad odors. 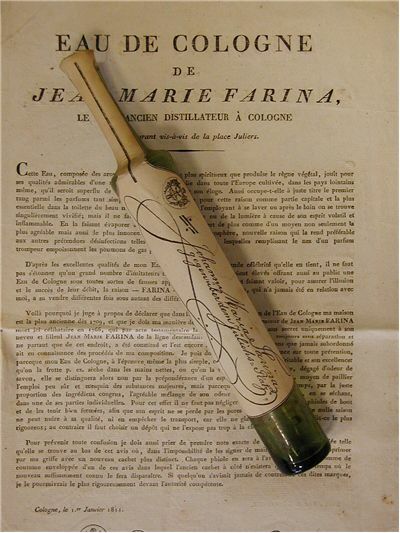 Creating of perfumes was something of a hobby for ladies of that time. As the technology and chemistry developed, synthetic chemicals appeared and perfumes started being mass produced. Nitrobenzene was the first synthetic perfume and it was used for scenting soaps because it had a scent of almond. Other scents soon followed like synthetic violet, vanilla, lemon and freshly cut grass. From these experiment grew perfumery as we know it today.